I started drinking coffee when I was in high school, but I didn’t learn the difference between good and awful coffee until I tasted the coffee in my university’s dining hall. I became a Starbuck’s snob and a coffee house snob. I made sure I spent my hard earned work study money on good coffee! While living in France I was even more interested in coffee, even the instant coffee machines spouted out good stuff. While in London, my friend had introduced me to Australian coffee: “I have a friend who has a great interest in coffee and has researched good coffee. Apparently, the Australians do it best and get it right.” I strongly agree with my friend’s friend. 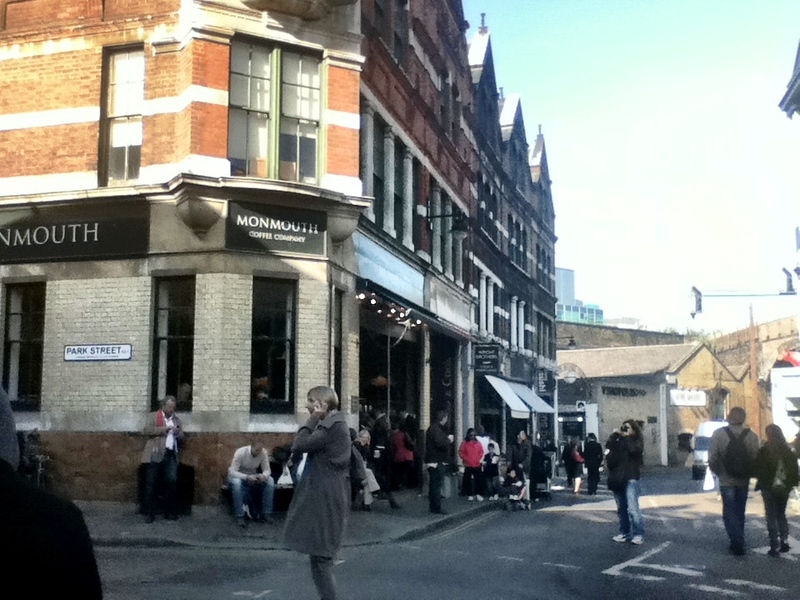 Before walking around the Borough Market we had stopped at Monmouth Coffee so I can have this amazing coffee experience. 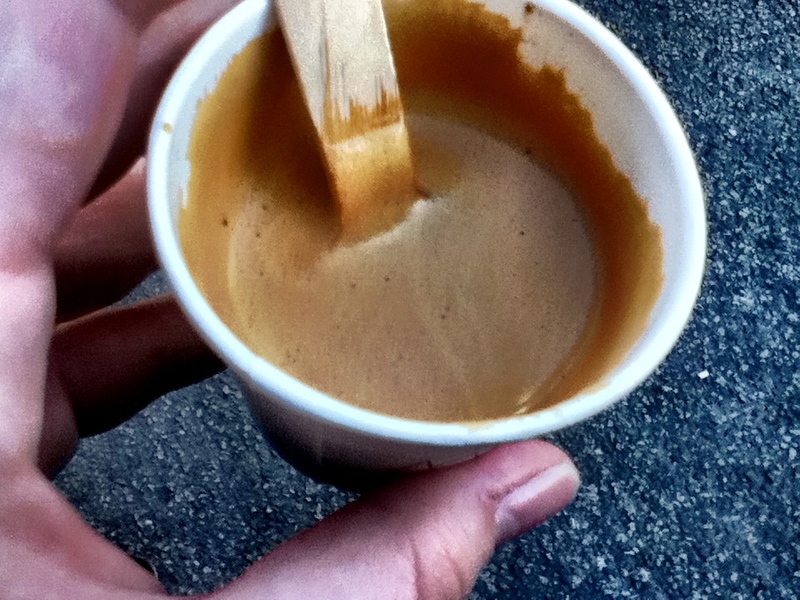 This macchiato was small, intense, thick, and creamy. 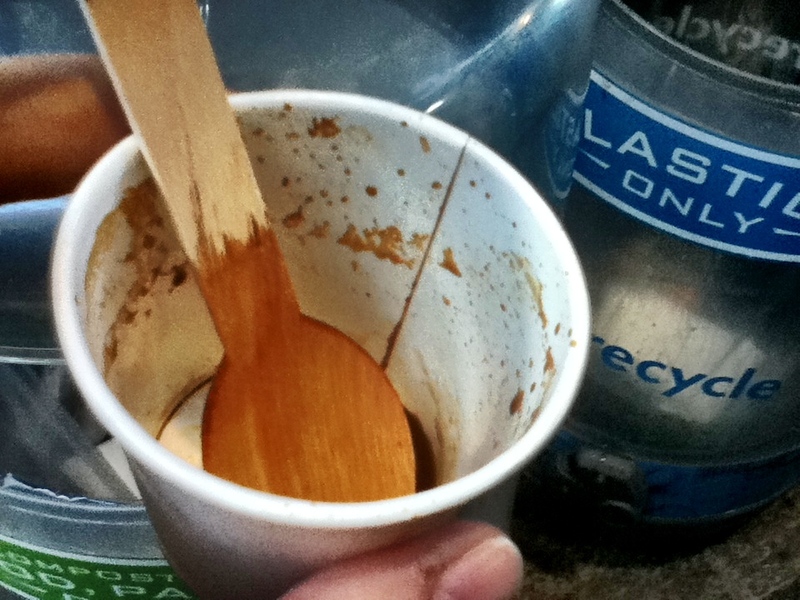 The amount of milk was small, but the coffee wasn’t the normal water/liquidy like texture. I can only describe it as thick and creamy. Life is too short for weak coffee. This stuff was so strong that I’m pretty sure I felt my spine shiver. Seriously! I am now on a quest to see if I can find myself an Australian coffee house somewhere in the Northeast area. When I googled ‘Australian coffee’ there was a list of Australian coffee phrases for me to choose from! This was one of the best articles that I read: CoffeeGeek – Cafe Culture Down Under. If you google ‘Australian coffee in London’ the results are MUCH better than ‘Australian coffee in America’. I had no idea that Gloria Jean’s Coffees is extremely popular in Australia. Honestly, I prefer Starbucks over Gloria Jean’s… at least here in the states. Since I’m a hop, skip, and a jump away from New York City and Washington D.C. I had googled to see what those cities could offer, because these cities don’t let me down and always make a good day trip. 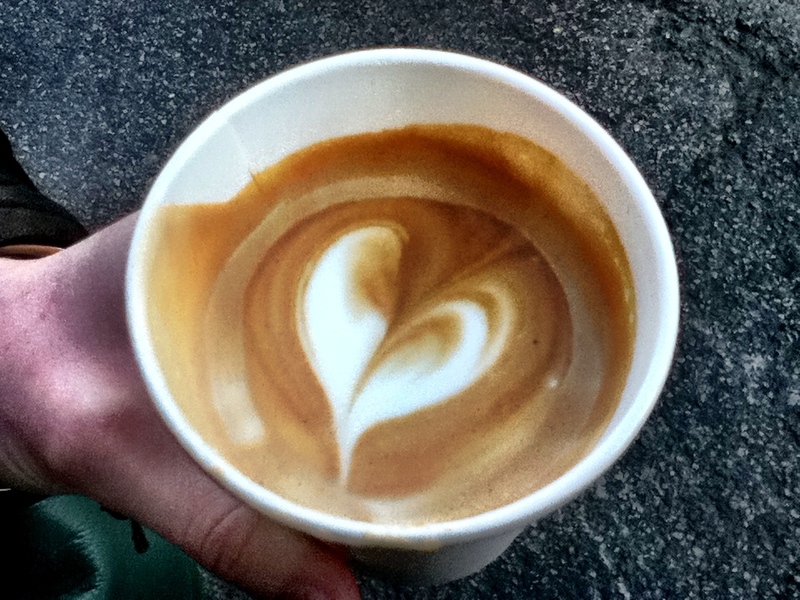 New York City offers The Milk Bar in Brooklyn and Washington D.C. offers Filter Coffee House & Espresso Bar. In the mean time, I’ll dream of delicious coffee and continue sipping on my Gevalia German Chocolate Cake! (I’m a dark roast lady, but this flavored coffee is quite the exception). What’s your favorite coffee? Do you have a special order at a coffee shop? i’ll have to check out australian coffee. sounds delicious! I saw your photo on IG! I’ll have to check it out, I don’t think I’ve ever had that brand. Do you use a French press? I saw that you had some coffee making accessories with it? ?